The Honey Bananas nugs look just as sweet as they sound. The leaves fade between dark purple and deep forest greens. There’s a nice mix of amber trichomes caking the flower, giving it an almost golden sheen in the light. 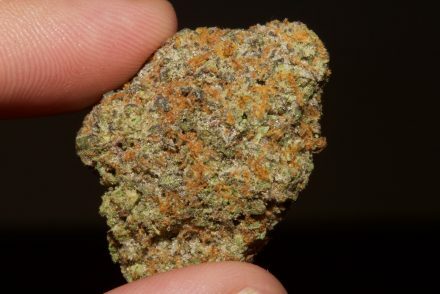 The nugs are beautifully cured and apparently manicured with a caring touch. For me, the many layers of aromas are the highlight of these buds. First, opening the jar reminds me of a great batch of Bubblegum – straight mouthwatering, sugary sweetness. Then comes notes of passion fruit and cherries that hit your nose and taste buds. Then finally, brown sugar and bourbon. My mouth is watering just thinking about it. I’ve smoked this herb in joints, bongs, bubblers and pipes – when sampling for flavor I like to use as many methods as possible. The flavor starts on the inhale with a nice coating of earthy, pine. When I exhale the smoke feels light and smooth. 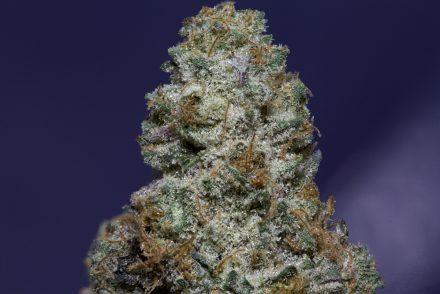 I pick up some faint flavors of earthy sweetness on my tongue, but mostly it’s my lips that are left tasting sweet (this is one of those lip-smacking strains). It’s a nice flavor, but I wish it was a bit more pronounced. The Honey Bananas from Sparc is a beautiful and delicious strain – especially if you have a sweet tooth – that also packs a nice strong Indica-leaning punch. 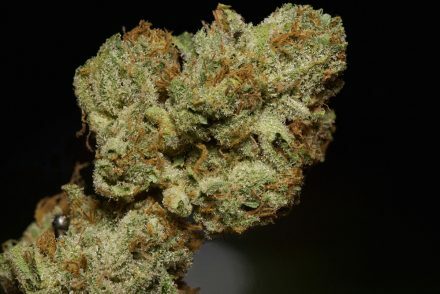 While Bubblegum will always be one of my all-time favorites, this strain will be on my radar anytime I need a sweet fix.